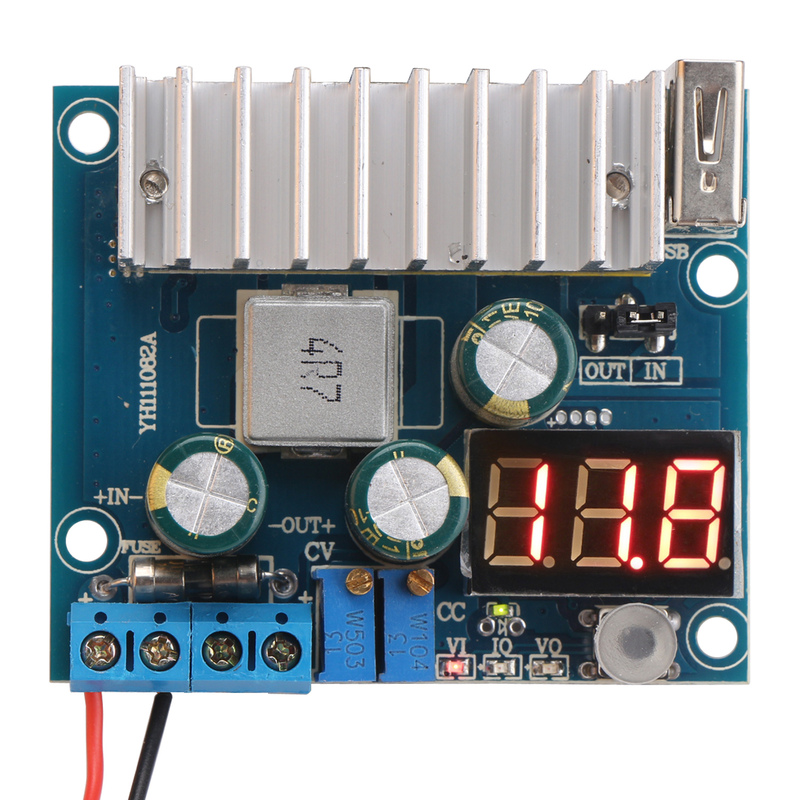 Output voltage :DC3~35V continuously adjustable , the default output is 19V. Output anti-anti- irrigation : Yes, no need for plus blocking diode when charging. 1, Voltmeter power options : you can select power the voltmeter from Input or Output by jumper on the board. you can short the jumper to reduce the loss of the voltmeter. Remove the the jumper cap, the voltmeter does not work. 2, USB output port: USB interface is connected to the output directly, with the identify resistor. Please make sure the USB output voltage is consistent with the voltage of your products. Otherwise it will burn your digital products. 3, Switch to display the voltage or current: VI: input voltage; VO: output voltage; IO: output current. Adjust the CV potentiometer, setting the output voltage to your need according to your battery or LED. Turn the CC potentiometer 30 laps counterclockwise to set a min output current, Then connect the LED. adjusting CC potentiometer to the current you need. 2, As the power supply for your electronic device, can set the output voltage value according to your system. 3, As the car power supply, power for your laptop, PDA or a variety of digital products supply. 5, DIY high current mobile power, with a single lithium battery can be boosted to 5V, built-in USB port and identify resistor, and a large current output 2.5A, which charging for some phone simultaneously.